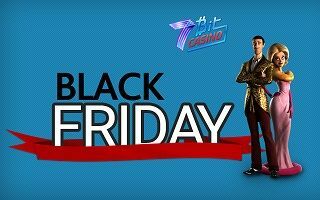 Don’t miss your chance to grab and exclusive Black Friday deal at 7Bitcasino. Black Friday is a worldwide cause of customer madness. Everyone waits for an offer of great value to come up. 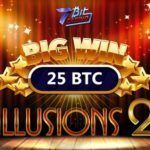 This year, 7BitCasino makes a move offering the outstanding deals for both new and loyal players. 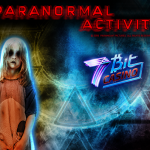 If you have never played at 7BitCasino before, then you are lucky to get EXTRA 25 spins that will be instantly credited on top of the regular 100% Match + 100 spins bonus once you make your first deposit. 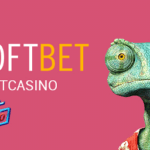 In case you already play at 7BitCasino, you’ll be rewarded with 100$ on top your next deposit of 100$ or more. That’s a fantastic opportunity to make some shiny cash that you can spend on various sales. Keep in mind that black Friday offers will be available only on 25-26 of November. Hot Black Friday giveaway on the surface of Mars casino. Believe it or not, but the traditions of Earth are very popular among Martians. Black Friday is not an exception. Every last Friday of November, dozens of tiny greed dudes gather to benefit from galactic scale sales. 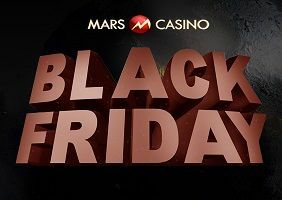 This year, you can join them at Mars casino and have fun with the exclusive bonus deals that will be available only for 2 days. New players will be greeted with 50 EXTRA spins on top of the regular 100% + 50 Free spin welcome bonus making it to be 100% + 100 spins. Loyal players will have an option to try their luck with generous 50% match bonus up to 100€. Hurry up, the offer will be available only on 25-26 of November. They’ve been waiting and waiting….Black Friday is finally here!!!! 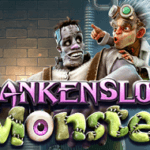 Their exciting Black Friday special includes 15 Free Spins on Fantasy Park! Simply make a minimum deposit of 0.05 BTC or €/$10 on Friday, November 25th and AUTOMATICALLY get your 15 Free Spins! 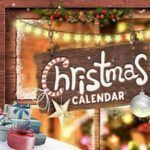 Let BetChain pamper you with its own spending spree and take a shot at those huge holiday wins that will line your pockets enough to buy a holiday present even for your weird cousin Al!